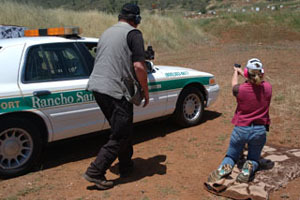 Oceanside Practical Pistol is pleased to have two NRA certified instructors as members. Larry Renner and Bill Heyder offer a wide range of training classes and can tailor training for the particular needs of an individual or group. Whether you're new to firearms and interested in safe firearm handling and basic marksmanship, or you're an accomplished shooter looking to improve, Bill and Larry can help. Group lessons are regularly scheduled at Iron Sights Shooting Range and private lessons may be scheduled directly with either instructor. The links below will provide you with more background as well as contact information.